For centuries, the birthday cake has been a staple of every birthday celebration. It’s typically large enough for “Happy Birthday” plus the name of the guest of honor, as well as the proper number of candles. But the treats we have to celebrate birthdays have come a long way! Think outside the box for your next birthday celebration. Whether you’re throwing someone a party or having your own, check out what CK Products has to offer that will make your party fun and unique! It’s hard to believe, but you really can bake in these fun-shaped plastic pans. Pantastic Pans can be used in the microwave or oven. Complete baking instructions are included, as well as decorating suggestions. If you don’t want a fun shape or animal, check out our micro-size Pantastic Pans in numbers 1-9. Honor the birthday girl or guy with a cake in the shape of their age! Instead of cake this year, consider making birthday cookies. Use a variety of cookie cutters to make your treats. You might want to make some cookies the age the person is turning and others in the shape of birthday cakes or cupcakes. 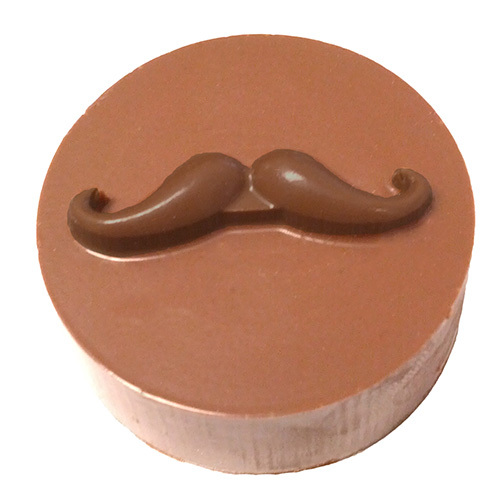 The mustache has made a comeback in a major way, and CK Products has you covered when it comes to what you need to make unforgettable mustache treats. Chocolate-covered sandwich cookies would be a huge hit at the birthday party. Put some mustache sugar layons on some cupcakes, and even serve your guests edible chocolate mustaches! It appears that the cake pop is here to stay! We’re excited about that because there are so many fun ways to make cake pops. Check out Bakerella’s Cake Pops book for lots of ideas, or use the cake pop roller and come up with your own birthday ideas. If you’re interested in the above products but don’t have an account with CK Products, either apply to become a customer here or check out the “Find a Retailer” feature on our website to find a store near you that sells CK Products!